OFCOM have released their Adults’ media use and attitudes report for 2015. It’s a report that is always worth a read through. This is the ten year anniversary edition with a good deal of the content around the release reflecting changes since 2005. 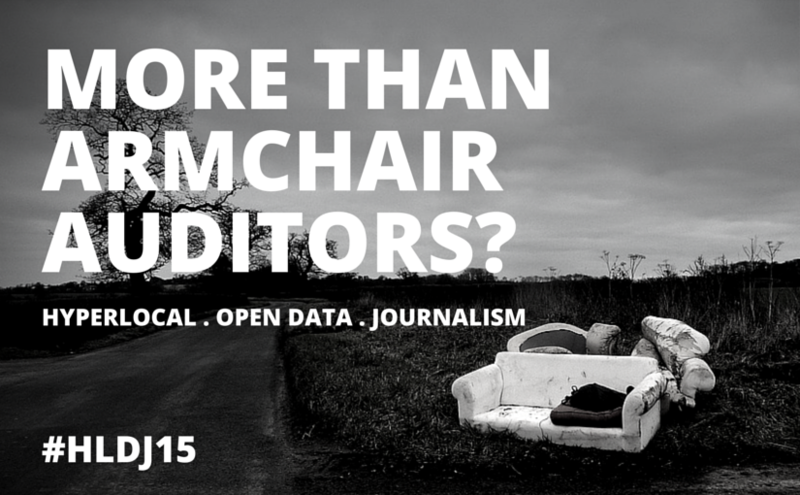 As you may have guessed from recent posts, I’ve got my head in open data stuff at the moment. 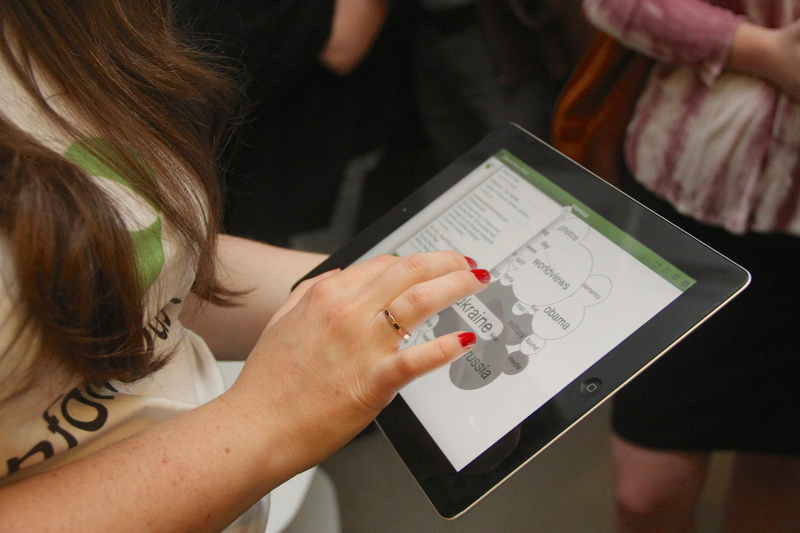 My focus is on hyperlocal use and the use of, for want of a better term, open government data. So that’s focused my first glance read through. A few general things struck me. One was how media and internet mean the same thing in this report; 10 mentions of newspaper compared to 119 of social media. The lack of any mention of LocalTV also struck me as odd. I know it’s not strictly what the report was about but given the role of OFCOM in this and the apparent purpose of Local TV I’d have thought it would have been worth putting it in context. Number 3 bodes well for hyperlocal, apparently 69% of those asked used websites/ apps for news about or events in the local area/ the local community; the biggest percentage point rise in any of the activities listed. But in general, everything is on the rise. 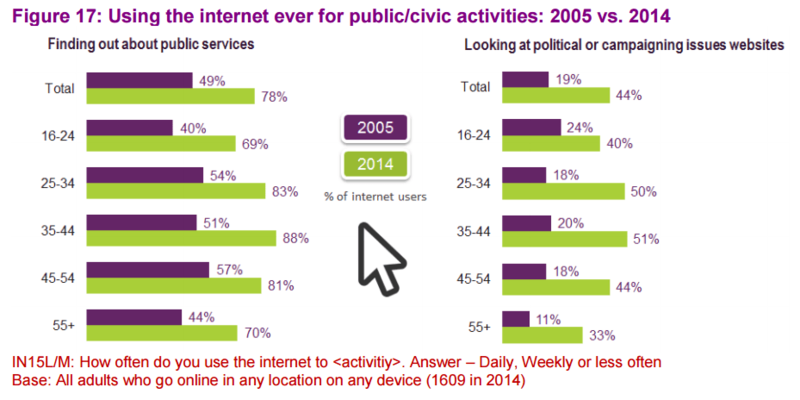 The significant differences for 16-24 and 65+ makes for disturbing reading when it comes to engaging online. As do the lower socio-economic group figures. 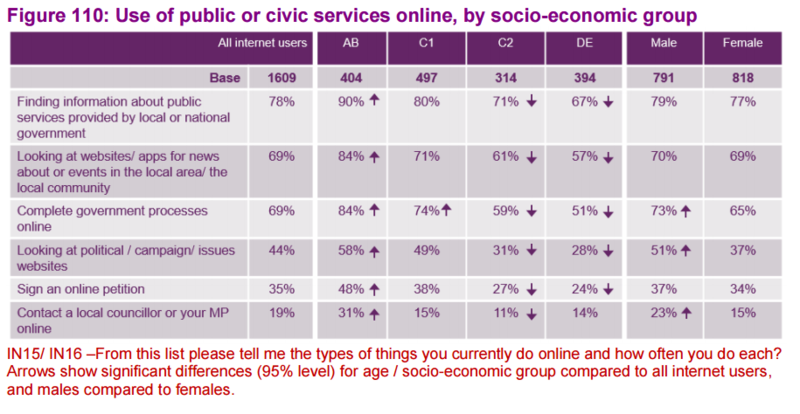 Given the new governments view on moving public services online and their approach to supporting those without connectivity, the trends worry me. I’m really sensing a ‘digital divide’ here especially given that OFCOM note that of the 14% (a figure unchanged since 2013) of non-users of the internet, six in ten are aged 65+ and half are from DE households. It’s not that people aren’t using the services but I don’t think I’m guilty of any conflation when I say the level of engagement of the middle-class connected makes it likely that they are the ones who will be most engaged with. 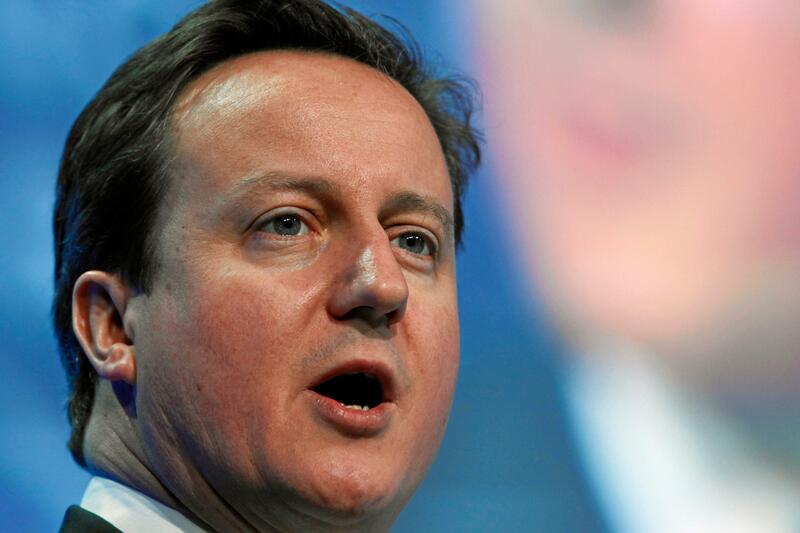 Open data: What can we expect from the conservatives?